(Newser) – A Florida bird-breeder was killed Friday when he fell down near the world's most dangerous bird, the Gainesville Sun reports. 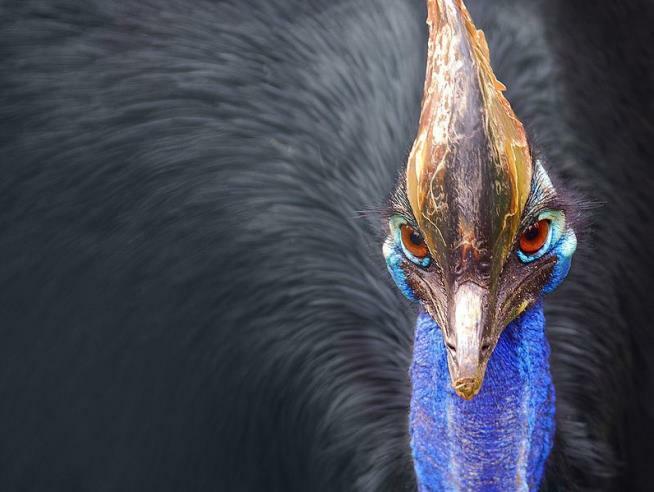 Police say Marvin Hajos, 75, was attacked by a cassowary, a 6-foot-tall flightless bird endowed with razor-sharp claws. Hajos was able to call 911 and another person on the same Alachua County property called soon after, but Hajos later died at a nearby hospital, per CNN. "It looks like it was accidental," says a fire official. "My understanding is that the gentleman was in the vicinity of the bird and at some point fell. When he fell, he was attacked." Two birds were on the property but it was unclear whether both attacked Hajos, per USA Today. Well so much for his application to the International Chess Team! Not exactly a rocket scientist move wearing a bright red M A G A cap into the bird's living area, now was it! How's that deficit doing? I am with the guy who commented on the fact that the people are trying to have as a pet or raising wild animals for others to have them as a pet and yet they always be a “Wild” animal. I think this just shows you, just because you can, doesn’t mean you should. I think this gentlemen got the “Point” ! Well.. PLOT Line for the new Jurassic Park.. "Rise of the Feathers"